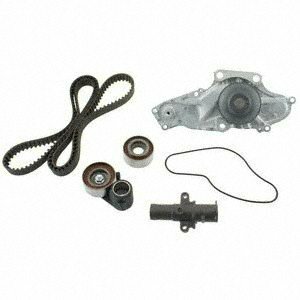 AISIN Water Pump with gaskets. 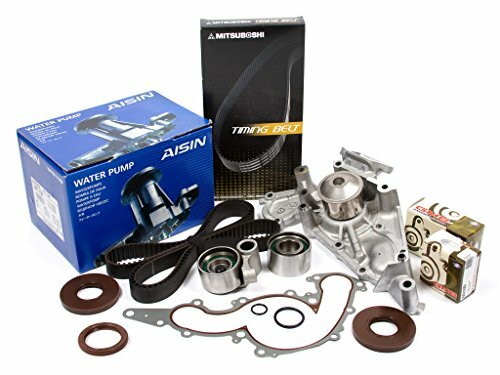 Select applications offer AISIN water pumps with housing. AISIN OE, NTN OE or Korean Hydraulic Tensioner in select applications. 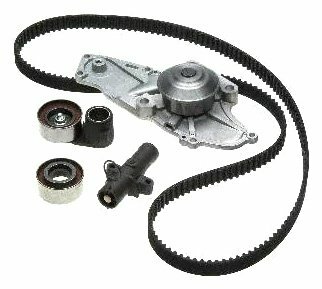 OE matched Timing Belt supplied by Mitsuboshi or Gates. Although this is the authentic AISIN Water Pump, it does not include AISIN identification stamped anywhere on the pump. Please refer the image for identification. 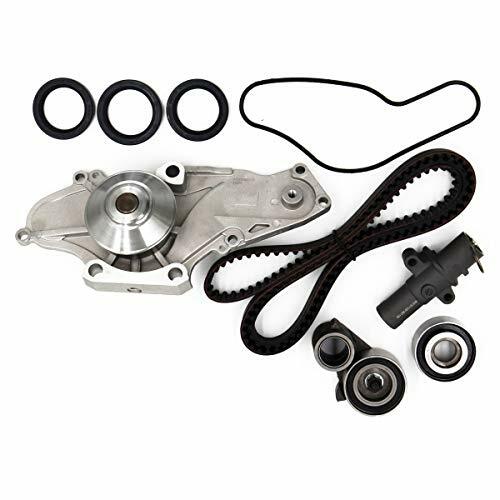 The ACDelco Professional, premium aftermarket Timing Component Kit with Water Pump provides a total solution for most applications, including belts, idler(s), tensioners, and supporting hardware with detailed installation instructions, and the addition of a water pump. 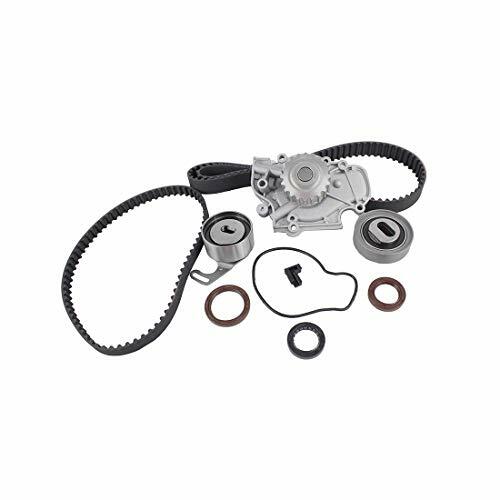 Timing belt driven water pumps should always be replaced when the timing belt is replaced, and this kit provides great convenience and the ease of part sourcing. 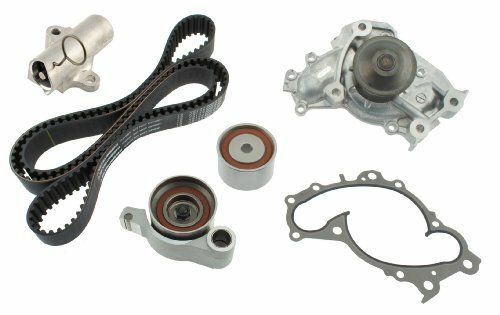 This timing component kit with water pump meets the performance standards you would expect from ACDelco. 1999-2001 Subaru Forester 2.5L 2458CC H4 (16 Valve) Eng. 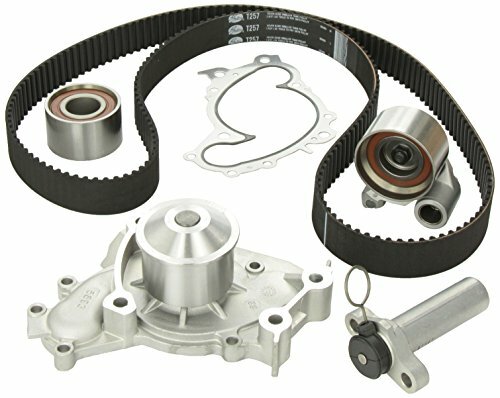 Code "EJ251, EJ253"
1999-2001 Subaru Impreza 2.2L 2212CC H4 (16 Valve) Eng. Code "EJ22"
1999-2005 Subaru Impreza 2.5L 2458CC H4 (16 Valve) Eng. Code "EJ251, EJ253"
1999-1999 Subaru Legacy 2.2L 2212CC H4 (16 Valve) Eng. Code "EJ22"
Subaru outback with VIN "G" ONLY. 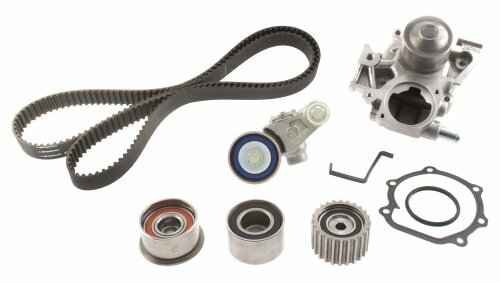 Fits 2003-2005 Subaru forester with MANUAL TRANSMISSION ONLY. Will NOT FIT 2003-2005 Subaru forester with AUTOMATIC TRANSMISSION. For "SOHC, NON-TURBO" Models ONLY. Utilizing the experience and knowledge gained throughout the years of co-operation directly with automotive manufacturers, Aisin is able to employ a technological advantage in manufacturing and supplying of the best in quality and the most durable of products. With this momentum, Aisin is increasing the development, manufacturing and supply for European and American automobile manufacturers. 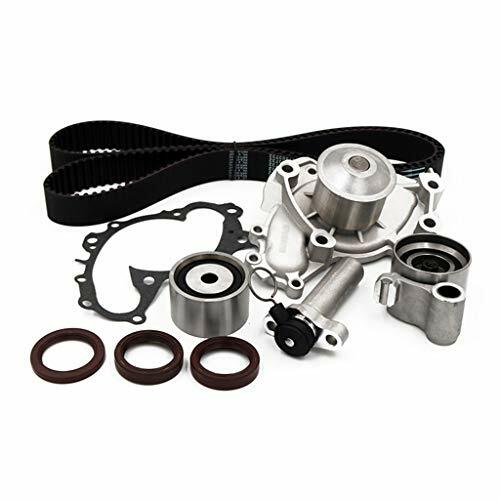 Aisin water pumps provide optimal cooling without creating excess load to the engine, and the advanced aluminum die-cast technology allows for size and weight reductions without sacrificing cooling performance. The highest quality materials are used, creating stronger body design and resistance to corrosion. Advanced technological design produces smooth coolant flow channels, efficient rotors, ball bearings, and carbon ceramic mechanical sealing for optimum cooling performance and longevity. 1993-1997 ISUZU RODEO 3.2L 3165CC V6 SOHC, (16 VALVE), ENG. CODE "6VD1"
1992-1997 ISUZU TROOPER 3.2L 3165CC V6 SOHC, (16 VALVE), ENG. 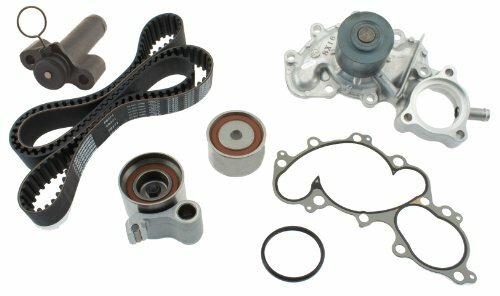 CODE "6VD1"
1994-1997 HONDA PASSPORT 3.2L 3165CC V6 SOHC, (16 VALVE), ENG. CODE "6VD1"
1996-1997 ACURA SLX 3.2L 3165CC V6 SOHC, (16 VALVE), ENG. CODE "6VD1"
1998-2000 LEXUS LS400 4.0L 3969CC V8 DOHC, (32 VALVE), ENG. CODE "1UZFE"
1998-2000 LEXUS SC400 4.0L 3969CC V8 DOHC, (32 VALVE), ENG. CODE "1UZFE"
1998-2000 LEXUS GS400 4.0L 3969CC V8 DOHC, (32 VALVE), ENG. 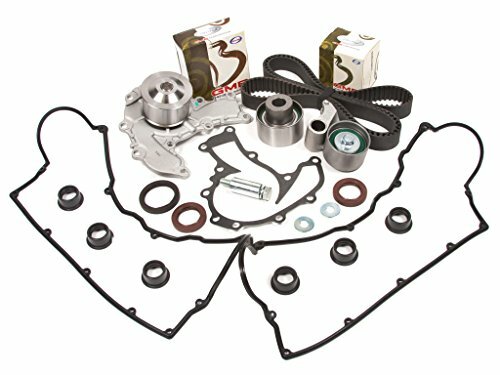 CODE "1UZFE"
2003-2007 LEXUS GX470 4.7L 4663CC V8 DOHC, (32 VALVE), ENG. 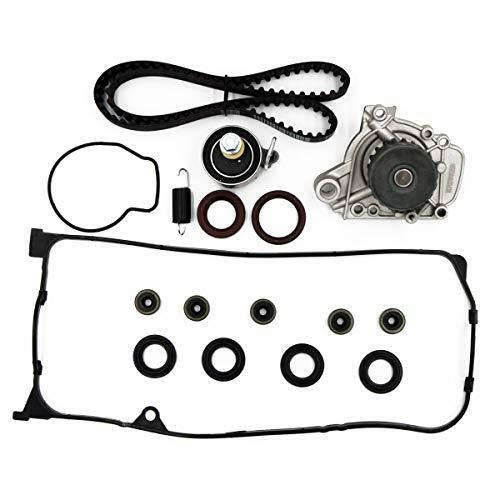 CODE "2UZFE"
1998-2007 LEXUS LX470 4.7L 4663CC V8 DOHC, (32 VALVE), ENG. 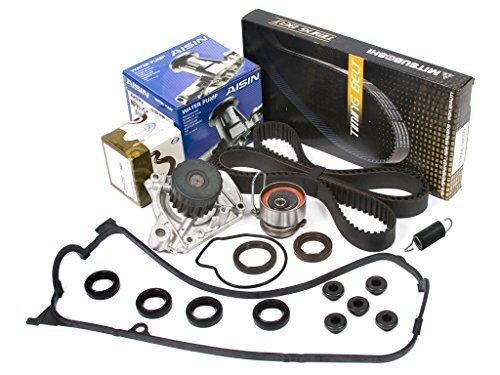 CODE "2UZFE"
2003-2007 TOYOTA 4RUNNER 4.7L 4663CC V8 DOHC, (32 VALVE), ENG. 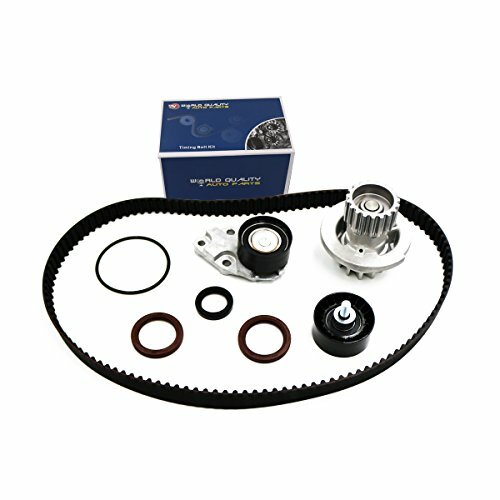 CODE "2UZFE"
1998-2007 TOYOTA LANDCRUISER 4.7L 4663CC V8 DOHC, (32 VALVE), ENG. CODE "2UZFE"
2000-2007 TOYOTA SEQUOIA 4.7L 4663CC V8 DOHC, (32 VALVE), ENG. 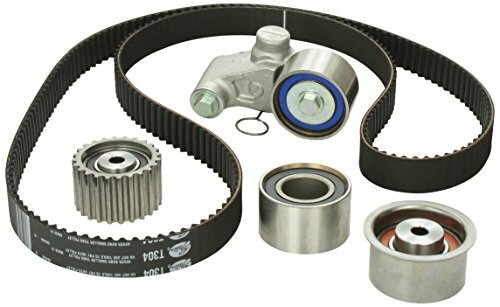 CODE "2UZFE"
2000-2007 TOYOTA TUNDRA 4.7L 4663CC V8 DOHC, (32 VALVE), ENG. CODE "2UZFE"
Genuine The Parts Universe kit Made in Korea. 2001-2005 HONDA CIVIC DX, LX V-TEC 1.7L 1668CC L4 SOHC, (16 VALVE), ENG. 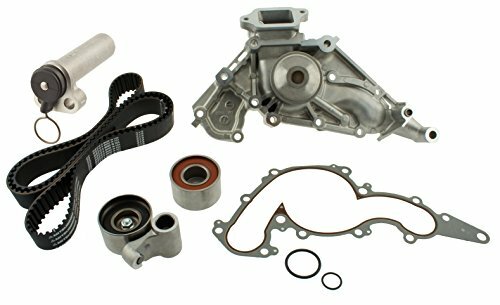 CODE "D17A1"
2002-2004 HONDA CIVIC DX, LX V-TEC 1.7L 1700CC L4 SOHC, (16 VALVE), ENG. 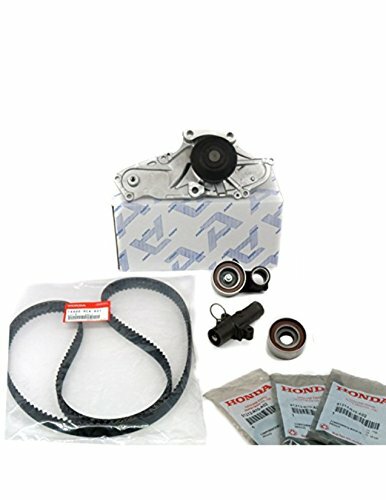 CODE "D17A1"
2001-2005 HONDA CIVIC EX V-TEC 1.7L 1668CC L4 SOHC, (16 VALVE), ENG. 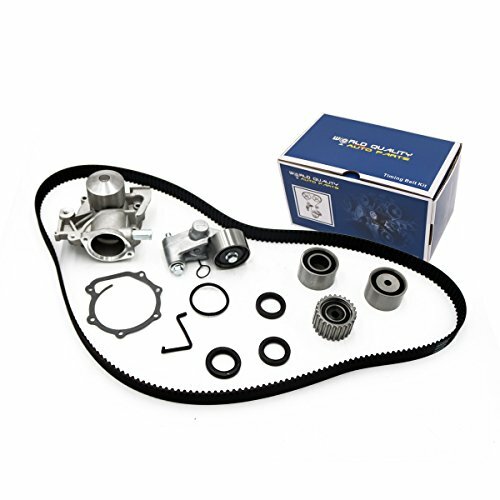 CODE "D17A2"
2002-2004 HONDA CIVIC EX V-TEC 1.7L 1700CC L4 SOHC, (16 VALVE), ENG. 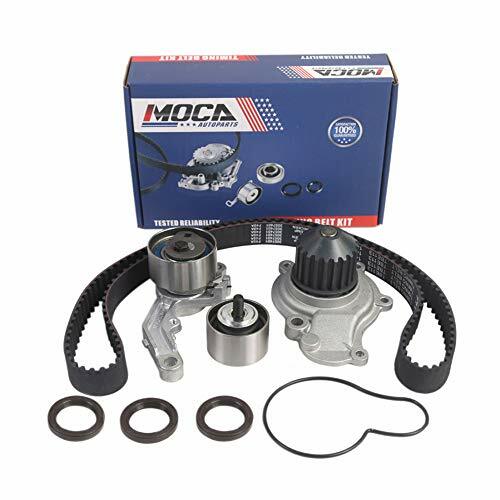 CODE "D17A2"
2002-2004 HONDA CIVIC HX V-TEC 1.7L 1700CC L4 SOHC, (16 VALVE), ENG. 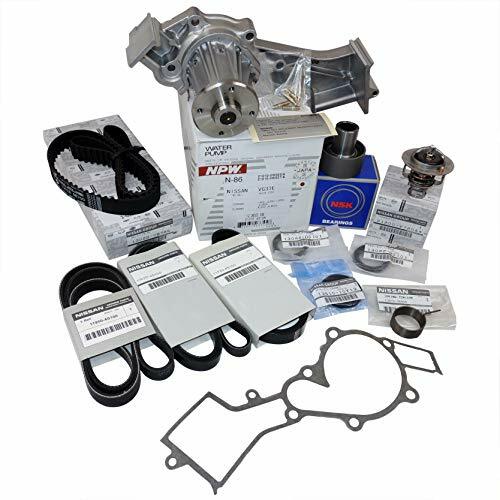 CODE "D17A6"
2001-2005 HONDA CIVIC HX V-TEC 1.7L 1668CC L4 SOHC, (16 VALVE), ENG. 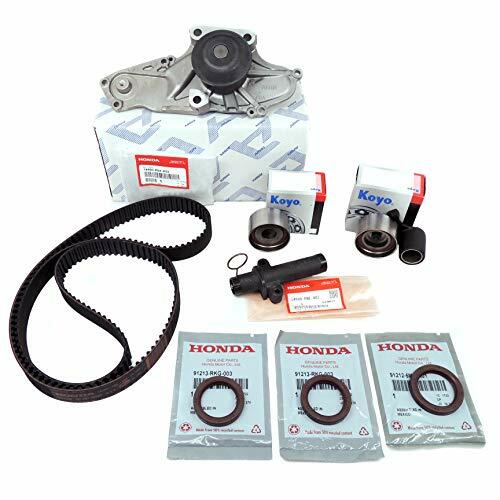 CODE "D17A6"
2001-2005 HONDA CIVIC GX V-TEC 1.7L 1668CC L4 CNG SOHC, (16 VALVE), ENG. 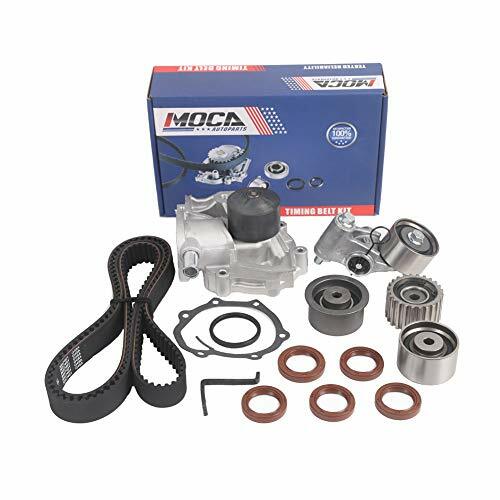 CODE "D17A7"
2002-2004 HONDA CIVIC GX V-TEC 1.7L 1700CC L4 CNG SOHC, (16 VALVE), ENG. 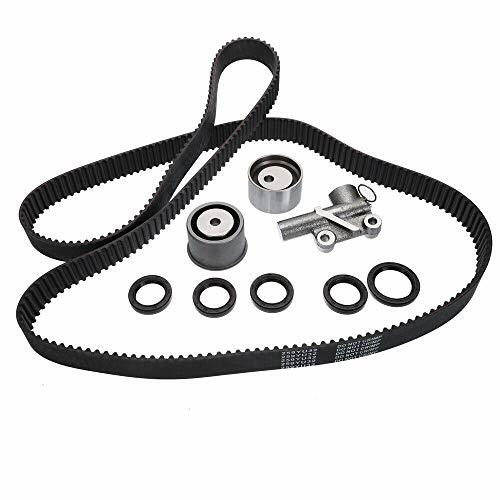 CODE "D17A7"
We sincerely recommend you the aftermarket replacement Timing belt kits, it utilizes the latest in design and material technology, ensuring quiet and maintenance-free experience. we can guarantee this item can fit and meet the specifications of the OE parts being replaced. 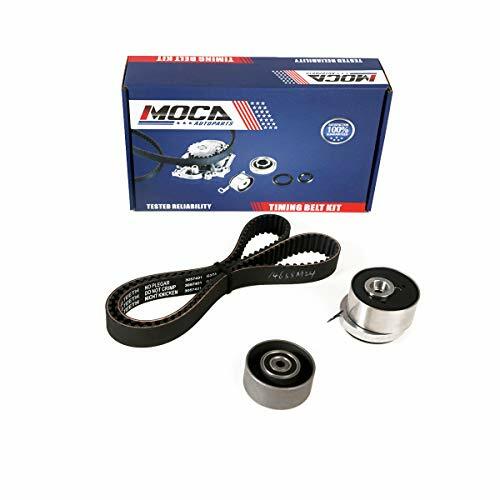 Including belts, Premium quality tensioner, idler pulleys and supporting hardware with detailed installation instruction, easy for you to replace the full timing system, extremely meet your expectations for fit, form, and function. 2003-2008 Chrysler Pt Cruiser 2.4l 2429cc Dohc L4, (16 Valve), Vin Code "B, G, X 8, 9"
2004-2006 Chrysler Sebring 2.4l 2429cc Dohc L4, (16 Valve), Vin Code "B, G, X 8, 9"
2003 Chrysler Voyager 2.4l 2429cc Dohc L4, (16 Valve), Vin Code "B, G, X 8, 9"
2002-2005 Jeep Liberty 2.4l 2429cc Dohc L4, (16 Valve), Vin Code "B, G, X 8, 9"
2003 Dodge Stratus 2.4l 2429cc Dohc L4, (16 Valve), Vin Code "B, G, X 8, 9"
2005 Dodge Stratus 2.4l 2429cc Dohc L4, (16 Valve), Vin Code "B, G, X 8, 9"
2003-2007 Dodge Caravan 2.4l 2429cc Dohc L4, (16 Valve), Vin Code "B, G, X 8, 9"
Fits: 03-08 Chrysler Pt Cruiser, 04-06 Chrysler Sebring, 02-05 Jeep Liberty, 03-07 Dodge Caravan 2.4L L4, please confirm this item fits for your vehicle before purchasing by checking fitment data above or contact us. 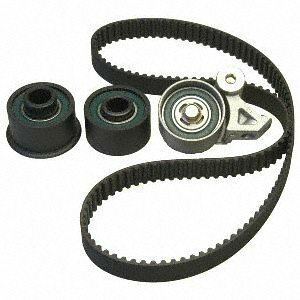 Total solution for most applications, including belts, Premium quality tensioner, idler pulleys. Guaranteed Direct Fit For Easy Installation. Using the same high grade materials and processes as the OE to ensure superior heat and contamination resistance. 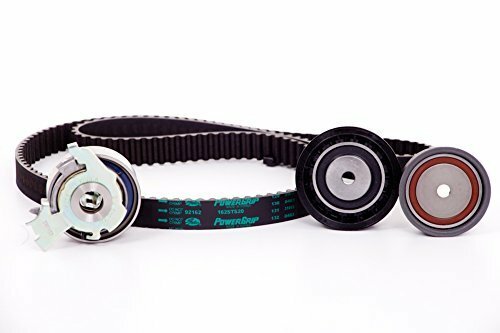 Timing belt with reinforced nylon jackets and back side jackets for longer wear. 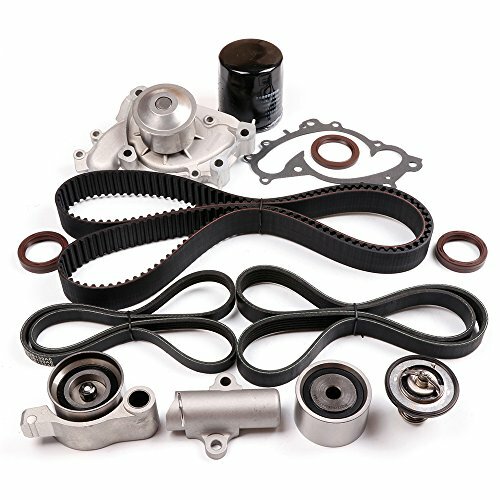 Professional friendly after-service team in US to offer timely issues resolution, parts have 2 years or 40000 miles Warranty. 2003-2006 Subaru Baja 2.5L 2458CC H4 SOHC, (16 VALVE), ENG CODE "EJ253"
2000-2009 Subaru Legacy 2.5L 2458CC H4 SOHC, (16 VALVE), ENG CODE "EJ251, EJ252, EJ253"
Fits: 2000-2005 Subaru Legacy & 2000-2005 Subaru Outback & 2003-2006 Subaru Baja 2.5L H4, please confirm this item fits for your vehicle before purchasing by checking fitment data above or contact us. Part Numbers: TCK307, 95307K1, AW9223, 131-2102, 160-1120, TBK307, TS26307, 13028-AA21B, 13073-AA080, 13073-AA190, 13085-AA061, 13033-AA042, WP9008. Professional friendly after-service team in US to offer timely issues resolution, parts have worry-free 12-Month Warranty. Fits: 2007-2015 Chevrolet Aveo & Cruze & Orlando &Trax, Fiat Stilo & Croma, Opel Astra H 1.6L 1.8L, please confirm this item fits for your vehicle before purchasing by checking fitment data above or contact us.